Water Heaters Only, Inc installs all types of commercial water heaters. 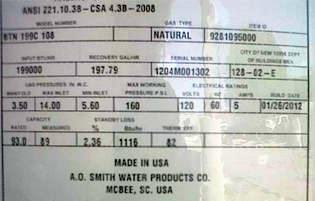 Most commercial water heaters are rated by the FHR (first hour rating). This is the amount of hot water the unit can produce in the first hour of usage. The FHR is determined by the BTU’S and the gallon capacity of a commercial water heater. At Water Heaters Only, Inc, we keep up to date on all the new commercial water heater designs and requirements, call (619) 222-3814 for an estimate or to discuss what size and type of commercial water heater you need. 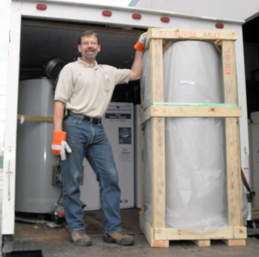 We are more than happy to send one of our qualified technicians to your location to ensure you get the best pricing and the right product for your commercial hot water needs.